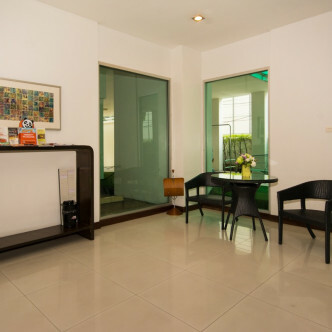 A.S. Place is a safe and secure gated condominium that was built in 2006. 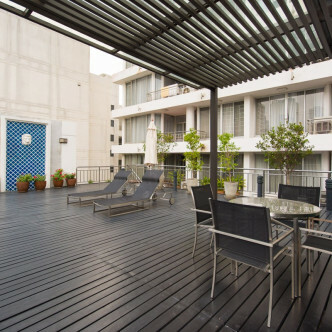 One of the great things about this building is that it comes with a sleek and stylish lobby and residents who choose one of the 27 units will be able to enjoy all benefits of city living while being set on a charming side street. 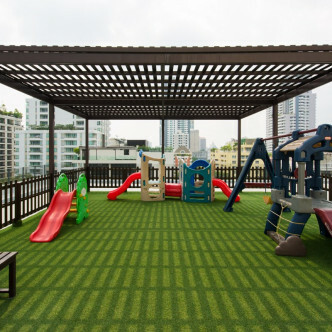 Families are sure to appreciate the large outdoor children playground, which is covered so that it can be used all year round. 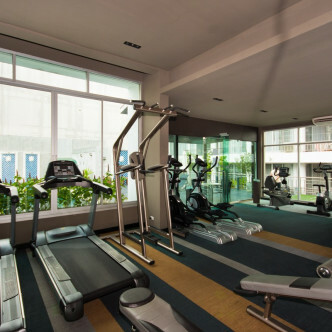 While the kids play their parents can make use of the other facilities here including the gorgeous outdoor swimming pool, large patio area set with sun loungers and fully loaded fitness centre. This enchanting part of the city boasts charming narrow winding lanes and makes a great location for people who like to explore. 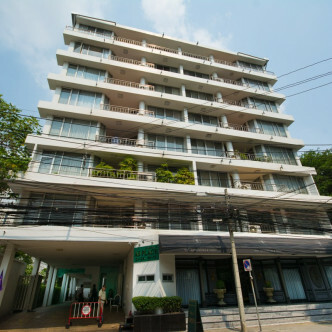 A large number of smart spas, shops and restaurants are just waiting to be discovered here, while the Asoke BTS station is just a short walk away and connects A.S. Place to the rest of Bangkok.